Immerse yourself in this awesome farm based time management game that’s sure to impress. Enjoy the amazing Roman theme that’s full of beautiful artwork and brilliant visuals to admire. Immerse yourself in this excellent time management game that’s sure to deliver. Help Amelie return her grandfather’s café to its former prosperous state. Raise and manage all kinds of animals in the zoo to create an attraction like no other. Choose from a wide array of facilities available that will surely entice more guests to come in and stay in the zoo. 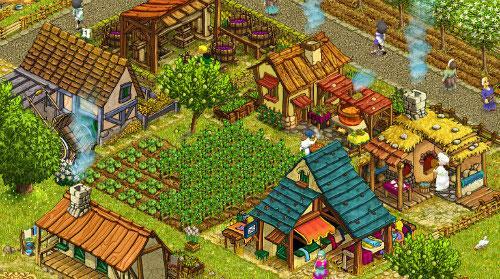 In Farm Town you grow crops and manage animals to make items to sell in the shop in town. Keep the people happy and upgrade your farm to meet orders. Develop your farm and machinery to make special produce. Look after a huge range of animals and crops. Help the Roman Empire regain its former glory in this awesome time management game that’s sure to impress. Enjoy 40 expertly crafted time management levels that’ll surely test your skills.